The industrial hygiene professionals at Clark Seif Clark identify airborne exposure risks to protect workers and help to keep companies in regulatory compliance. Hot work, such as welding and torch cutting, can produce byproducts containing a mixture of toxic metal fumes and harmful gas by-products. More than 500,000 workers in a wide variety of industries are exposed to a unique combination of both safety and health risks according to the Occupational Safety and Health Administration (OSHA). These workers are involved with the potentially hazardous activities of welding, cutting and brazing. OSHA reports the risk from fatal injuries alone is more than four deaths per thousand workers over a working lifetime. 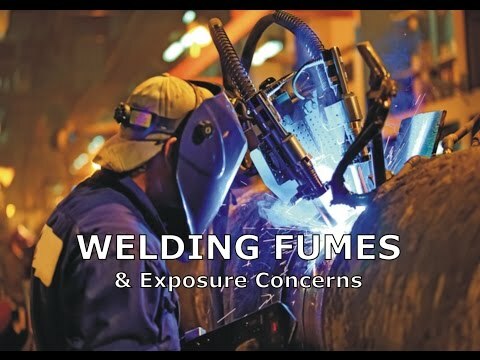 A significant hazard for many of these workers is inhalation exposure to fumes and gases produced during welding activities. In fact, OSHA has developed a fact sheet about welding fumes and gases discussing potential exposures to everything from lead, cadmium and arsenic to nitric oxide, ozone and carbon monoxide to name just a few substances. The health effects of inhaling these fumes and gases range from respiratory irritation and lung damage to various types of cancer. Exposure to some welding gases at high concentrations could also create asphyxiation hazards. To learn more about this or other industrial hygiene, occupational, environmental, indoor air quality, health and safety testing services, please visit www.csceng.com, email csc@csceng.com or call (800) 807-1118.